To extend, or not to extend, that is the question. 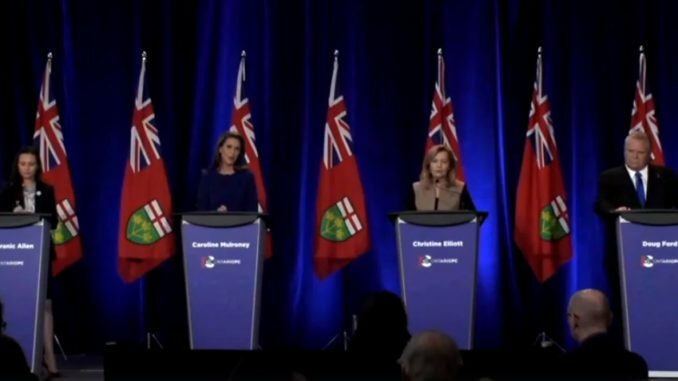 If the events surrounding the PC leadership race were put to the stage by Shakespeare, I don’t know if it would be comedy or a tragedy but one thing is clear the drama level is high. After extending voter registration for party members from last Friday to Monday, then to Wednesday and then to Thursday, plus extending voting until Friday at noon, it isn’t clear that everyone will get to vote. What is clear is that at least three of the four leadership camps are not happy. 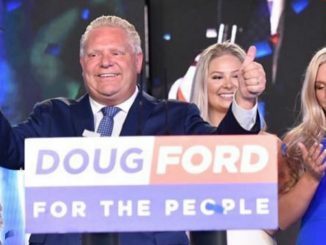 Doug Ford, one of the perceived front runners has been leading the charge to have voting extended past Friday’s deadline. Ford has also called for paper ballots to be used for anyone that has had trouble with the online system. While at first I felt Ford was simply laying the ground work to call the vote into question if he lost, I’m starting to think the rushed vote and squeezed timelines might be a problem. And now the Mulroney and Allen campaigns have come out to back Ford in calling for an extension. Ford, in a statement posted on Twitter said the vote must be extended. 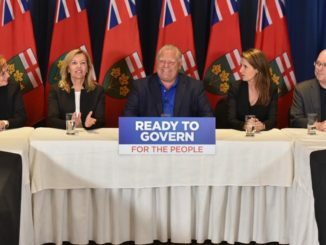 Caroline Mulroney retweeted Ford a short while later and joined her rival in calling for the extension. So far Tanya Granic Allen has not tweeted on the issue but I did speak to her campaign spokesman Mike Patton in the middle of my radio show – the things I do during commercial breaks to get the story – and Mike tells me that Allen backs Ford in calling for a one week extension. So that leaves Elliott’s campaign. They are against extending. Which tells most observers that they must think they are in the lead and they want to wrap this up quickly. But one official on the campaign tells me that there is concern that extending the vote might be unconstitutional. The spin I was given was that the cut off date for for buying memberships is the half-way point of a campaign but here is what the PC Party constitution actually says. The cut-off date shall not be earlier than the mid-point between the date the election is called and the date voting is scheduled to conclude. Okay, so what does that mean. “shall not be earlier.” Well, the cut off already happened, you can’t re-open membership sales again or extend without throwing the whole thing out of whack. But the PC Party constitution also says this. A leadership election shall respect the principle that each member of the Party has a right to one vote, and that the Executive shall ensure that the right to vote of each Party member is respected in any rules governing the leadership election. To bring it back to Shakespeare, there’s the rub. How do these two parts of the constitution, seemingly at odds with each other this time out, both come to life? How do you respect the right of each member to vote and also follow the rules on membership sales and vote timing. The Elliott campaign is not supporting extending the vote but in a statement emailed to me claimed that they have been looking for solutions at meetings of LEOC, the Leadership Election Organizing Committee, while other camps they say have been silent. Our team has successfully pushed LEOC for extensions throughout this process and in fact suggested to both LEOC and the other teams that PINs be emailed to those members who have yet to receive theirs. We were disappointed none of the other campaigns supported our proposal to ensure members would be afforded the right to vote. The PC Party has to find a way to fix this and keep enough people happy that they don’t blow the election because as I reported earlier, this election is shaping up to be theirs to lose. We are aware of calls from some candidates for an extension to the race. This is, in our view, not only a fundamental change in the Rules at a late time in the campaign, but also contrary to our Party’s Constitution, which provides that in this case the vote must conclude no later than March 9. Accordingly, we confirm that the deadline for verification of memberships is 8pm on Thursday March 8 and the deadline for voting is noon on Friday March 9. The new Leader of the PC Party of Ontario will be announced on March 10 in Markham. So is there a Liberal-NDP deal in the Ontario election? 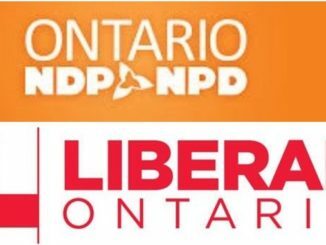 May 14, 2018 Brian Lilley Ontario Politics Comments Off on So is there a Liberal-NDP deal in the Ontario election? Thanks Brian you are working hard for us. Working and trying to find the truths takes time. I should have checked to read your articles. I am a TheRebel.media viewer and I always looked forward to your commentary. Just a week ago I decided to listen to a broadcast on CFRA. Forgot about checking out articles.